I saw Ponyo last Sunday night, definitely the most kiddy out of all of them which I couldn't help but feel a little flat about. admittedly I saw Spirited Away first and Mononoke only recently but they were brilliant. Very looking forward to seeing "Where the Wild things Are"
That's pretty crazy I'll keep an eye out for that. As if he was ever going to actually retire though. He's the kind of guy whose been doing it for so long that he cant do anything else. He would have been watching his son (was it his son also making them?) or at least the studio and would have been missing it. He's the kind of guy who'd do this kind of thing until he died, pencil in hand. I went to the Ghibli museum in Tokyo about 6 years ago and it had this re-creation of his study and all the various rooms, coloured pencils and brushes everywhere, was so awesome. Goro Miyazaki started his career as a construction consultant, and he designed parks or public institutions. 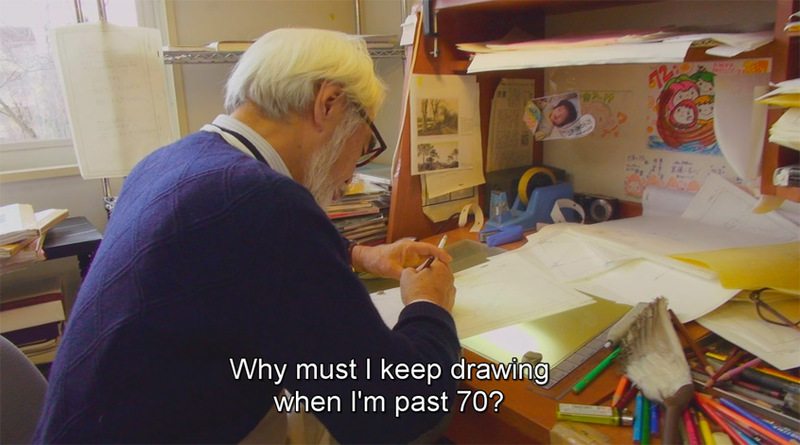 Because his father, Hayao Miyazaki, is a world-famous filmmaker, he always had complex feeling towards his father. He decided not to work for anything related to animation, to avoid being compared with Hayao. However, the turning point came to his life in 1990s, which was the new project of construction of Studio Ghibli Museum in Mitaka, Tokyo. He was in charge of the whole design of the museum, and became the first Managing Director. While Hayao was filming "Hauru no ugoku shiro" (Howl's Moving Castle), Toshio Suzuki, the producer, decided to let Goro direct the next Ghibli movie since he was impressed by Goro's talent of making decisions quickly and properly, and his ability to draw pictures. Therefore he directed "Gedo Senki" (Tales from Earthsea), which is the first step of his career in the animated movie industry.